When it comes to having a successful business, it’s important to have a strong online presence. That’s why there are so many people out there teaching classes about social media and how to make a YouTube Channel in 2019. And for many businesses, having a blog is still a huge part of making themselves known by customers online. Whether you’re running a brick-and-mortar store, or a fashion ecommerce store, upping your SEO with a blog and showing that you’re an industry expert still goes far. But posting consistently and using the right keywords isn’t enough anymore. If you really want your business blog to be popular in 2019, you have to use the right strategies. So if you want your business blog to be as successful as possible now that the new year is here, here are some strategies. Search Engine Optimization (SEO) used to be mostly about using the right keywords: using them in your blog title and the URL, peppering them throughout your text, and optimizing images, too. But this is changing a lot because of how people are completing searches online now. For example, there’s voice technology being used anytime someone asks Siri a question. This means that search terms are going to be longer and more complicated than what people used to type carefully on a phone or computer screen when doing a Google search. In fact, it’s estimated that, by 2020, 50 percent of searches will be voice queries. When it comes to having a successful blog, you need to choose the right niche. 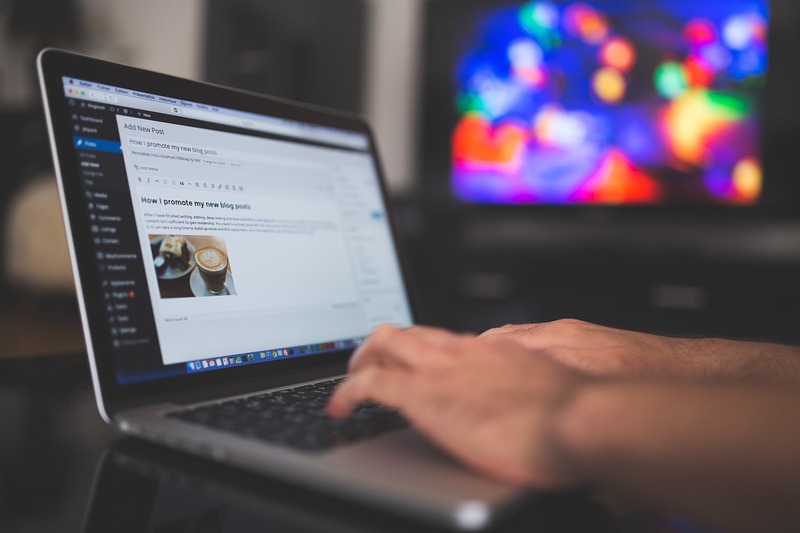 If you’ve been running your business blog a while, then you understand it to a certain extent. You know, at least, who most of your customers are (and how to market to them), and how your business compares to others the industry. But additionally, there are other resources you should be using, especially as new blogs are popping up all around. Considering that 89 percent of Americans have access to the Internet, the more technology you use to determine how to reach your audience, the more success you’ll have. Video content is going to rule 2019. Already, Instagram Stories are huge on the platform, and companies are constantly posting them in order to connect with customers in a more exciting way. If you’ve posted any videos on Facebook, you can see just how popular they are because of the comments, likes, and shares. So why not bring this dynamism to your blog? Having your own YouTube channel is a great idea, and you can include these videos in your blog posts, too. After all, US Internet users spend an average of 15 hours each week with digital videos. So imagine how much time they’ll spend on your blog if you post videos alongside your content. Anytime you complete a blog post, you need to share it on social media. Otherwise, it’s almost as if your blog is existing in a void. Instagram, especially, is becoming more important. This platform already has over 1 billion monthly active users, and in addition to always being popular among younger generations such as Gen Zers and millennials, is now becoming popular among their parents, too. Don’t forget to engage with people who follow you and leave comments. Finally, your blog site has to be mobile-friendly. Chances are, your posts are being read on a phone screen, so make it easy to navigate and have images load quickly. The last thing you want is a reader zooming in and out so that they can read the content you’ve spent so much time writing. You might even consider going mobile-first since many businesses are choosing to do this. As of February 2017, mobile devices (excluding tablets) accounted for 49.73 percent of web page views worldwide. These are some of the best strategies you can use to make your business blog popular in 2019. By following them, you’ll have more success than ever. What other strategies have you used to put your business on the map?